BEAN is collaboration between scholar activists Natasha A. Kelly and Olive Vassell. The project began in 2012 as a way to create a space for network, knowledge exchange and support for primarily Black European academics from the growing field of Black European studies. Spurred by changes in academia including reduced funding and job opportunities, and the normalization of conservative stances in social sciences and humanities, its founders aim to provide an alternative to the diverse forces promoting this long awaited European debate. Ahouansou, Kelly and Vassell are pleased to be able to bring to you more than a platform dedicated to the production of knowledge by and about Black Europeans – but one that is multilingual, innovative and unique in its vision and doings. Born and raised in London Olive Vassell received her MA in International Journalism from City University in the UK. 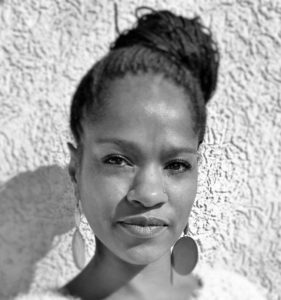 Her research interests include the role of the media in defining Black Europeans, both in terms of Black European knowledge production and definitions created and promoted by the Black as well as the white media. 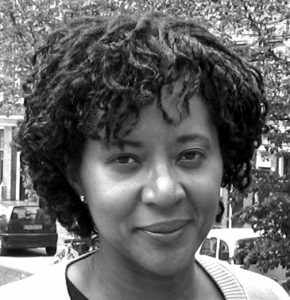 Olive has also been an award-winning journalist for more than 25 years working in both the UK and the US. This has included stints at the British Broadcasting Corporation (BBC) and the UK’s Channel 4, as well as the historic Afro-American newspaper in the US. In 2009, Olive founded Euromight.com, (www.euromight.com) the first Black European news site. The acclaimed publication focuses on telling the stories of Europe’s under reported Black communities through print, photography and video using both original content and aggregated news. In 2012, the site was selected by the British Library to be archived in the UK Web Archive. In 2017, Olive was invited to write a chapter on the Black British and Irish Press for the upcoming three-volume, Edinburgh History of the British and Irish Press, 1641-2017 (Edinburgh University Press). Olive heads the Digital Media program at the University of the District of Columbia in Washington, D.C.